How to save and invest money for your Child’s Education? – Ready 5 easy steps. Child Education is one of the biggest goals of parents these days because of the tough environment and high expenses involved. Most of the parents start saving for Child Education right from the birth of Child, which is a great! In this post we learn how you should evaluate the target cost of Children Education and how you can achieve the targets within expected deadline. We are mainly talking about Higher education in this article. Many Companies come up with Child plans and other products which are nothing more than ULIP’s bundled with special features like Wavier of Premium option and some other features. However Planning for Child Education is not a big task and you can do it yourself, given you have some interest and eagerness to do it. The first step is to find out the target date for the child education goal. I feel the that average age when a child goes for Higher education can be taken as 21 or 22. You can take your own target tenure depending on your expectations and situation. If you are not yet married then find out the estimated time left for your marriage and when you want to start your family (i mean children) and add target years to that number. For me personally it would be 4 + 21 = 25 yrs. what about you? The next step is to determine how much does it cost in today’s value for giving education to your child. All of us have different aspirations when it comes to our child education, courses like MBA, Engineering, MBBS, Software related courses are on our minds. Next step is to find out how much amount you actually need in the end. For this you first need to determine the rise in education cost per year. As per the recent year numbers, Education costs are increasing at 10% per annum. A decade ago you could have done an MBA at 1.25 or 1.5 lacs, but today it costs more than 4 lacs. That’s more than the average inflation. Education cost in our country has been increasing at higher speed than other things. so you need to consider some figure. I would like to take this as 10%. Now, you can just inflate the today’s cost using simple compound interest formula. Understand Compound Interest and other important Formulas. So, I can see that I need to make around 86 lacs in 25 yrs. Please note that this figure is based on your assumptions. The actual Figure you might need may be more or less to this amount. But still this is good enough, as we have a plan at least and we are near the goal. This is an important step where each investor has a different level of risk appetite and knowledge. Depending on those factors one can choose different products for investments and can generate some return through it. One who is not much interested in finances and has lesser risk appetite can choose Balanced Funds or Debt Funds and can generate around 10-11% returns. On the other hand a person who can take more risk and have more interest in finances can invest in products like Equity Mutual funds, ETF’s, Direct Equities etc and can target close to 14-15% returns. Getting more or less return is fine. All it matters is, does it suit your risk appetite? There is no point in investing in risky products if you are not a risk taker. As a rule of thumb, a person who is investing for long-term like 10+ yrs should take Equity route because over that kind of time frame Equity has performed the best with maximum returns and with small risk. So for long-term, Equity is what you should invest in and for short-term prefer equity only if you are great risk taker. Your range of return expectation should be from 8% – 15%. Anything above that is a bonus but getting more than 15% is tough for general investors like us. Anything like 20-25% should be the target of more professional investors who have advanced knowledge and who are full-time into stock market and related fields. So better be satisfied with suitable returns which will be able to achieve your goals. The next step is to find out what is the monthly contribution you need to do. For this you have to use this scary formula. r =Rate of return you expect to generate on your returns . FV = Future value of your goal (this is calculated in step 3 . You can Use this Calculator to calculate these figures. Just fill in your details and get the output. Now you can invest this money in product you have chosen. Apart from these 5 points, there are other points you have to consider which will make your Child Education planning more strong and successful. Make sure you are Insured Properly because in between if you die prematurely the amount of insurance your dependents get should be good enough to achieve your Child Education. Make sure you buy a good term insurance plan to cover this risk. When you are near the end of the goal, when still 4-5 yrs are left then you should better start withdrawing your money from riskier products to more safer products, so that you do not get surprise drop in your Corpus. If another subprime crisis happens at the same time when your kid is ready to go to college, it will be a tough situation. So better start withdrawing your money every month from Riskier products to safer products. Make sure you review the performance of your Child Education plan every year and make sure that things are going as expected. If not, find out why? See if you need to change your numbers, if you do it’s fine. No one can plan for things in advance with accuracy and it’s totally find if things go little off track. Just be ready to adopt the changes. At the end, sticking to this plan is the deciding factor of whether you are successful or not. The consistency in Investing for this goal is the main thing. Returns will follow when you follow the plan. Make sure the Asset Allocation is right and make sure you stick to same asset Allocation. Make sure you do not force your Child to adapt as per your Plan. Make sure you don’t have anything rigid for Child. Let him/her decide what they want to do, You are mainly a motivational parent who are paying for cost of what your child wants to do in their life. A successful Child Education plan won’t make any sense if he/she is not able to pursue what they are passionate of and love doing. You have several products in market which claim to be Child Plans. They are costly and complicated for most of the general investors. The simple funda for successful financial planning is “Dont buy if you dont understand it”. Planning for Child Education can be a step by step designed simple plan which we can do ourselves. Please leave your Comments to let me know how did you like the article? Which one of these steps is the most challenging part? What do you suggest is the rough estimate of Child Education expenses today? I have two child, they are just below the age of 2, one is of 1.5 and other one is of 6 months. so iam much more concern about their education. so please let me know good option for this to secure there future. i dont have a knowledge of securities market. Please let me know the name of the investment plan or any suggestion in this regards directly. I would suggest mutual funds for their long term future. You can get in touch with my team who will guide you on everything . I surely go for long Term MF. but is there any other option that best suit my need. 1. What shall I do with existing policy.? I would rather suggest Equity mutual funds SIP . ULIP are costly products and are not suggested. This article is really helpful. I really like it how you guys have explained it. Recently my mom recommended a website where you could estime the cost of your childs education and how much you need to save for their near future . I really liked it . I know you guys must be thinking that i am trying to promote this website and all but i am just a common guy who likes helping people and giving free advice . Well the website is http://www.bigdecisions.com where there are various calculators and one of them is education calculator. This is the exact link. Glad to know that Parth ..
You can look at HDFC mid cap opportunities ! Further to my query if i discontinue the policy i end up losing around 50K. I want to build a corpus of around 1c for my son in 15yrs time. but i cannot afford the heavy investments wich i have to do. can you please guide me in reaching near my goal. Very informative blog. I have a query should we invest in endownment policies. I have a endownment policy in my sons name. he is 4yrs old . i have taken birla vision life for 15yrs. i am just 7 months into the policy. My monthly taken home is 46k and am 40yrs old. and am a single parent without any liabilities. recently i have invested in axis bank MF and have some amount in ppf and FD. My question is should i continue with the policy for its term or make it paid after 3yrs. I am thinking of buying a flat for invcestment in mumbai. please advice. There are too many things you have asked here 🙂 . I think you need to first concentrate on the security part like term plan, health insurance etc and then invest for your goals. Have you broken downs your goals in a list ? I suggest get in touch with a good financial planner to help you on overall issue . Its a very nice article. I want to invest for my son’s higher education. He is 5 now and in my view, he need lump sum by his 18 years when he complete his higher secondary. if we take for eg MBA which costs 8 lakh per annum roughly as per today’s market. I don’t understand how have you calculated the required amount …Target Amount = Amount today X (1 + rate) ^ Tenure ..what is this ^ ? and roughly if we take inflation as 10%, I assume it as 30 lakh is needed . 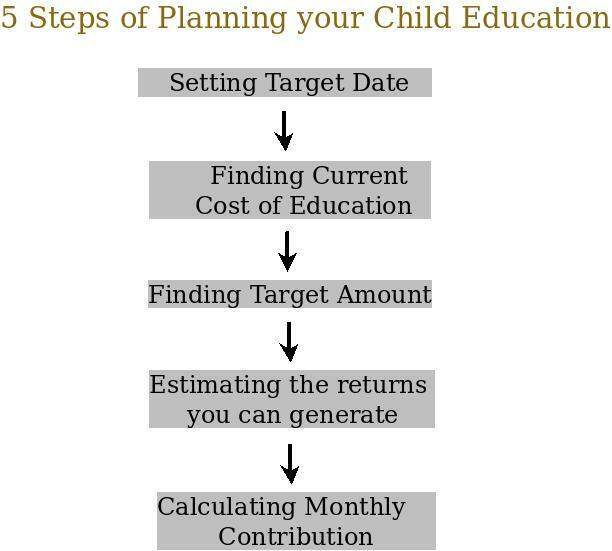 Now my question, to achieve this target, should I consider any child investment plan or SIP or MF or ULIP. Can you please advise ? I appreciate it. if its SIP, the return amount is taxable right ? …incase its ULIP / Child plan there is no tax on the withdrawal , correct ? Please advise I am getting confused what to choose and how to start ? I am 35 in IT, planning for his higher education lump sum. If its SIP , then the returns are not taxable . You can do it in FD also , but then it will be taxable . I have a 4 year old son, and for now am investing into two PPF accounts, 1 Lac into each account. And also hold FDs which we intend to keep on renewing for long term ofcrouse. As you can see we have not invested into equity so far and are keen on creating a corpus in the next 15 years. We could stretch for 20k+ per month on a SIP, any suggestions on what MFs to go for, obviously for a long term basis. There are various mutual funds to choose from .. What kind of fund you need, how much risk you can take ? I’d be a medium-risk taker and was thinking of having a SIP in established equity funds with a long track record. However i see Sensex is touching a high these days, presumably a SIP would buy units at high levels? so should i wait it for a while. What do you say? or invest a lump sum in one of the MFs? I would say jump in if you are looking at very long term , the more you want to wait , the more time you will loose ! I want to invest for 1 year old daughter. Expecting good returns after 15 to 20 years for her higher education. I am ready to invest min 2000 – max 3000 per month. Can you please suggest me good plan? As I must have mentioned in the article itself , for a 15-20 yrs period , I suggest mutual funds, ETF or any equity based product ! . PPF is also a choice ! Very informative article, Thanks for that..!! My son is just two month old. 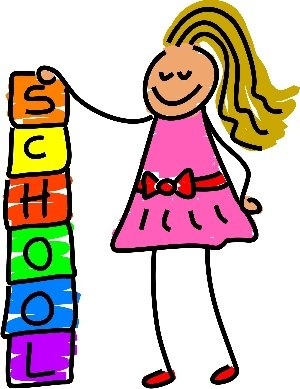 Considering the cost of education now a days right from Playgroup and then collage and then higher education, feel like we should start planning for each stage of child’s education and not only of 15 or 18 years later of education. Yes, you are correct that one should be planning for all stages of child education. Regarding the “child plans” they are not that good considering traditional options for investments like mutual funds, PPF , FD ! My son is 5 years old. I am looking at the following plans and unable to chose the right one. I would like to invest in guaranteed schemes only for child education. ICICI Smart kid, Met Life Bhavishya, AVIVA Young scholar and LIC Jeevan Tarang are the choices i am looking at. With my limited knowledge, i would like your opinion pls. Thanks for the updates on changes effec Jan 2014 on Life insurance. Looking to hear from you. I have two kids. one 6 year old and other one 9 yrs old. I have LIC Term plan of 25 lakh (others offer more but i am not sure whether they are good, suggest better one please which is reliable). I do save about 10 K per month in PPF. By seeing the cost of education going high, now I am interested in saving more for my kids and create good amount of money by their college time. kindly suggest the BEST approach. – Investing in PPF than Equity or MFs. Do guide me here. I think you can take some insurance from AVIVA , the premiums are really low . Thanks for the excellent article for savings for a kid’s education. I have a son who is one and half year old. I have 5 lacs as fd which I will get next year. I am plannning to take a plan for my kid. As you suggested I amy need 60 lacs when he becomes 20 year old. Is it better to proceed with fd’s or any other plan. I dont have much knowledge of mutual funds. ulips and also I have a sbi smart ulip, which is not generating any returns. Please suggest. What about ppf savings ? Better take route of FD’s and mutual funds. You can start with HDFC prudence mutual funds to get comfortable in few years ! My daughter 3 months old and now i am thinking for her education plan. i have a term insurance of Rs. 30Lcs. Can you please tell this is the right time to take Education Plan for My child. If Yes, then please guide me with best option. Thanks Manish for this information. I already opened PPF account for my dauther’s name and putting 1000/ pm. But this PPF is fixed for 15 yrs. But I also want plan to get money in her school interval every 4 or 5 yrs. So i can fulfill her dreams on time. Then PPF is not a suitable investment . you need to then get into FD’s ! All your advise is usefull to everyone. Thanks for the great article, as always. I just was wondering what you would suggest for my situation. I’m currently chalking out a plan for the education and marriage of one of my cousin sisters who is 14 years old. The idea is that 3-4 of us cousins (all independently settled) will make a monthly contribution for this goal. 1. will be under my cousin’s name, but should make it convenient for us to add monthly contributions. Online payment / NEFT/ ECS will be great. 2. preferably be more equity focused in first 2-3 years and more debt focused subsequently. I can do this switch manually too (say from a balanced fund to a debt fund). 3. should be relatively illiquid, to discourage pre-mature withdrawals. What would you suggest for such a situation? Thanks in advance and keep up the good work! the best I can think right now is to open a joint bank account with your cousin as primary holder and the other guys as secondary holder, and then setup a SIP from this account for Rs 3X to a tax saver ELSS fund or a tax saving 5 yrs FD , all you 3 people contribute Rs X to this bank account . please suggest some child plan also.. I just read your article about child Insurance plan its very nice. Decided to buy a child insurance for my son he is 9 months old. As you suggested we need money only when he pursuing higher education. We both parents decided to see him as Software Engineer or Dr. don’t know exactly, what will be the expenses in present scenario. Estimated i may need 10 Lacs and term 20 years to complete his education. One more thing is few years back i have bought LIC sigle policy for 3 Lacs sum assured and term is 21 years and yearly payment is 15,000 which i think is too much when compares to Religare iTerm Insurance. i wanted to close or sell this na buy new religare insurance but dont know how to do. Please suggest what will be the amount after 20 yrs for 10 lacs and procedure for closing the present insurance. Yes . I think thats a good idea . Just one point – Contribution should depend on ones potential to save or earn. So it will probably be more real life if contribution is a growing amount starting with ‘X’ and growing at a rate ‘g’. And for simplicity, ‘g’ can be assumed to be equal to the expected growth in ones savings or income. I guess then X will come out to be a smaller figure than C and then one will feel more confident taking a start. I want to invest in e gold (Physical) from now onwards for 10 years. I want around 10 lacs at the maturity of the plan. please suggest me a plan for that. e-gold is not in physical format . Please reconsider what you just said ? What plan you need ? I want to invest in a child plan from now onwards for 25 years. I want around 60 lacs at the maturity of the plan. please suggest me a plan for that. the article is very useful for people like me who are not having such strong finance back ground or advised on that field. Great article – reading a lil late tho !! Could you plz help me with – which is the best ULIP Child Plan to go with & other than benefits (which seem to be similar in all, premium waiver etc) what should we look in different ULIP plans ?? Hope you hear from you on my email. thanks again for all this good work. Very happy to read from enlightened good readers. i think you are not convinced about education loans, requested your views. Very useful article. In particular, the Excel worksheet is truly nice. Just have a suggestion. Though the calculator is excellent for initiating the plan for investment, I am a little confused how to reevaluate the calculations after say a year. If, as per calculations, we needed to invest Rs. 5000 per month and accordingly, we start an SIP. After say 3 years, a certain amount would have been saved. Now when we check how the savings are going, how do we reevaluate the revised monthly saving amount, taking into consideration the fund value already built up. Would like to know your suggestions on this. Is it possible to include this in the calculator worksheet? I know its a bit tough to understand , but I will teach you how to do that soon . Very informative and useful article. I am following you from few months, but this is first time to comment here. The calculation part is really helpful. But my question is I am not sure what my both the daughters(one is 8yr and another is 3 yr old) want to become. So how am I going to plan and invest in which scheme? If I calculate wrong and invest where I will get less amount I will be in trouble or vice a versa! Can you guide me on it? This is something you cant solve .. Its like some guests are coming to your home and you dont know what they would like to eat , so you keep most of the ingrediants at home and be prepared… if at the last min they order something , you might not be able to prepare everything , but you will be close to it . Thanks for visiting my blog and for the comments. I have already replied to your question in my blog. Thanks for the answer for my question here. Yes, you have given very good example. I really should think seriously and invest for my kids education. I need a proper guidance, as my husband has already invested in many LIC policies but nothing is invested for the education. You should setup RSS feeds via email on your blog so that we can get updates on email whenever you post any new post . Let me take some more time, I will be discussing these things with my brother who introduced me to your site here. Hopefully, very soon I will be getting the things inside my head. And thanks for the suggestions and I would be thankful to you if you could get some time to set my blog in a proper way. I hope I am not taking disadvantage here. In the same way personal finance is for you , you are not learning it because you want to become a financial planner , you are learning it so that you can take some good decisions for your children , your household and to make 1 crores instead of 50 lacs for your retirement . Guess what : there are 500 members like you on jagoinvestor.com/forum , who are waiting for you to ask all the dumbest questions you can imagine and they will be answering it with all patience (including me) and we are all there to help you take your financial life to next level . Just register and start asking all the questions as it comes to you mind . A dedicated 30 min each day or even 15 min a day on our forum for next 1-2 months can turn you from a novice to a knowledgable person . Alteast browse through all the earliar questions asked and learn from them .. I can help you set up your blog , it should be some commitment from yourside , not a big thing .. You aim should be to become something like http://chefinyou.com/ one day ! Thanks for the reply. And thanks for the link,, I will read and go through it today. Hello Manish, thanks for another wonderful article. Do you mean to say that plans like Smartkid Maxima and Komal Jivan should be avoided at all costs? And all the goals can be acheived by using mutual funds itself? Kindly clarify. Yes and No . You have to understand that those plans also investing in the same things like mutualfunds , which is equity markets, the only place where they differ is that they give some options which are not there in mutual funds but you can create them yourself , just because they give you customized product ,they put all kind of charges and eventually a person who do not follow-up much on the product looses in long term . The cost of my son’s education today is 48,000 today. I wonder how much I have to make if my son has to do a course in MBA. Now he is in the III grade? The calculation does look scary. Thanks for all the articles on your blog. They are all amazing, simple and very informative!! However if we use the calculators – Goal Planner under the “Resources” section and enter the values as given above, monthly contribution comes to Rs 3580.00 (constant contribution). Please can you let me know which is correct and to be taken for financial goal planning? Better take Calculator value under Resources section . As you will be aware, there is a tug of war between IRDA and SEBI for ULIPs. IRDA is going to change some rules of ULIPs from 1st July,2010. Based on it, Can you please suggest whether I should go for a child ULIP right now or should I wait till 1st July. My birthday falls on 1st July, so mortality charges will be higher for me after that. I have planned to take ICICI Prudential Smartkid maxima. Any comment on this will be also welcome. Amazing how many people are ‘analysing’ ulips! Do they understand the impact a 1% change over a 20 year period can have? And this can come from higher lapsation, higher mortality in India (mortality rates are not guaranteed), fund manager underperformance, market underperformance, increase in cost structure..If you do not make a career as an actuary you cannot understand ‘reverse financial engineering’ necessary to do performance analysis. Warren Buffet says ’80 years may not be sufficient to draw conclusions based on data’. Amazing Overconfidence – comes from a market that has gone up from 9k to 17k ?? What is the conclusion your comment at the end ? Are general investors better investing in Child ULIP’s or DIY strategy ? Let us know ? I happened to read your article “10 tricks agents use to fool customer’s” in Economic Times today and just thought to visit your site. I had abt 5 mins or so to see what you have on the site and am on it for past 30 mins. Some of your articles are really amazing. Great job man. Appreciate your efforts. Your child education calculator is a generic calculator and can be used for ones financial planning too… Correct me if I am wrong. I would like to connect with you on linkedin and have sent you a connect request. Kindly accept. I would luv to discuss with you further things through e-mail. What is the formula you have used in Step 5 called as? I’m trying to compare this with the CAGR formula. Say I want 4 lacs after 14 years at 12%. Then if I use the formula given in step 5, I arrive at a figure of 926 Rs per month, thus in 14 years I’d be investing 926*12*14 = 155568 Rs. But if I use CAGR formula then arrive at a figure of 81848 Rs. Shouldn’t both amounts be same?? Am I missing something? Actually you need to reverse engineer the formula of annuity . i do have adequate pure Term policies + Equity mutual funds@monthly basis +EPF +PPF. and getting accumalted on monthly basis till attains 18 years. and the total amount would be given to child after 18 years. My Insurance Term cover would defintly help in the eventuality, at that point of time. But i do need some assurance for my child also after some period/tenure say 18 yrs towards marriage/education. 1. How do u view on this child policy with premium waiver benifit/ as a child assurance. (I do have SIPs on monthly basis for child). I would say you are attracted to ULIP’s over mutual funds for child education because you get this feeling of “responsibility delegation” , you are feeling that if you are not there , they will take care , how ever , understand that ULIP’s are just a tool for wealth creation and nothing more , all the manual work of taking investment and using is still lies with people . Regarding the “Premium waiver benefit” , you can increase your life cover by that much amount and invest in same old mutual funds , may be balanced funds this time , incase you are gone , the extra cover from term insurance will take care of the gap . I feel you are looking of putting money in “something else” other than mutual fund , which can be wrong way of seeing thing , if you have 4 goals , you can use mutual funds for all goals , may be different types of funds ,use index funds , use ETF , mix debt with it and Gold ETF’s etc . Tolal Premium allocation charges in this tenure=54% of anual premium. But at the end of 15 year, as a bumper addition, one year anual premium is added. so looks like both these things(charges and bumper addition) are compensated with each other. so no loss no gain. its 1.25 %. I heard that for mutual funds, its 2.5% so here looks like this ULIP is better than MF. Policy Admin Charge=50Rs per month. dosnt look much to me, as it is constant and independent of premium. 24 switches are free per year.facility properly. Moreover i have lil bit knowledge of market and will be using swithing So after these details, do u see that i am missing something and decision is not right. please let me know. It might happen that this ULIP will suit you .. ULIP can be ok for people like you who know how to take advantage of switches at right time . So you can continue . I have two kids ageing 9 and 13 and I want to invest for them for equcation & other requirement. I can invest 40K every month. Pls advise in which plan, units etc i need to invest to have better mature value. Again one more worth reading Article…. Apart from this i feel that situation will not be this much grim as we feel after 15-20 years as the government is working on education facilities, like they are coming up with some educational loan which can be repay at later stage at very less interest rate. I feel that if a child want to get admission in his fev colleges then financing that will not be a issue and if somebody is passionate about his study then that guy will deifnitely arrange some money in a form of loan or so. Here i am not trying to rule out the responsbility of parents to arrange money for child education. Nice point , we never thought of this that in future Govt help can be a big relief and a big help 🙂 . So do you think when parents plan for child education , they should factor in this fact that in future govt help will be there ? hi manish, i recently got hooked to your site. must admit amazing articles in simplest possible language. my query, I’ve some lumpsum to spare for my child education plans. child is 1 month and term i’m looking at is 20 yrs. I tried to do some calcs based on simple 10% annual returns….scenarios i took were lumpsum investment at yr1 or yearly investment till 20 yrs. the returns are phenominally higher if i apply lumpsum vs annual. now issue is what kind of product i should go for? i’ve a term insurance already planned so dont want to go for any cocktail products like unit linked child plans etc…any suggestion would be really helpful…. You should be looking at simple equity products like Equity MF , ETF or index funds . look at https://www.jagoinvestor.com/2009/08/list-of-best-equity-diversified-mutual.html to get some good funds . Dont forget to rebalance your portfoio every year or 2 yr to make sure your asset allocation is in place . Did i answer you ? these are ULIP’s , dont get into these . buy plain mutual funds directly from fund house . There is a plan that Kotak AMC offers. Its called Kotak Starkid, it has all the advantages that you can find in an ULIP, without its drawbacks. – There are no charges other than expense ratio. – The liquidity is far better than in most ULIPs, which have lock-ins & restriction on no. of times you can withdraw & the amount you can withdraw an one go. – All the three funds are pretty old & have given good performance. Today probably no one know how good are the fund management skills of most of the ULIPs. – In ULIPs, in case of parents death the future premiums get paid over the period of time, in this plan, the SA is paid upfront in lump-sum. In ULIPs there is a lock-in period of at least three years, in this plan there is an exit load(1%) if you exit before 5 years. Hence if the fund doesn’t perform we can get out of it at minimum cost. P.S. :I have invested in this plan for my daughter’s future. Yes , its a good plan . The fact that its nothing but simple Mutual fund + Term insurance makes it good . You can do the similar thing seperately also if you want to diversify across other mutual funds . I am salaried employee who earns 45000 p.m. I do have icici life insurance cover for 20lakh. Took two pension plans with ICICI for 10000 & 15000(per year) respectively. I am married and blessed with a baby boy(4 months old). Planning to invest like this. is it advisable to continue to the pension plan., or you suggest taking the money out and investing else where? Regarding PPF + MF , the ratio of contribution is very personal and it will depend from person to person . If you are high risk taker , you can even raise the MF part . But overall it looks ok . See : https://www.jagoinvestor.com/2009/08/list-of-best-equity-diversified-mutual.html for a list . term insurance is a tricky part , while I advocate taking the cheapest one in the market , it can again depend on your comfort level , are you fine with AR or SBI or any other non-LIC company , if yes , you can split your insurance with iTerm from AR and Another insurer . Regarding pension plan , again its nothing but a Unit linked plan , which we dislike for reasons we have already discussed on the blog. your call . Recently I started monthly SIP in HDFC TOP 200 (5000/-) and VIP in Benchmark S&P 500 monthly(3000/-). This is my plan for my 5 months old daughter’s higher education. VIP is a new concept introduced in india by Benchamark. VIP looks good at the moment . I am aware of it . you can continue with it . Just understand that you are taking a high risk instrument and you need to be with it for long term and dont get afraid with the short term fluctuations . My plan is to continue VIP for 10 years, then after I will revisit it.. VIP investment is through ECS route.. One thing I found in regular investing is that, if I do through ECS, I tend to think less about fluctuations and not many worries about it… but if doing SIP through my broker, I found that I tend think of stopping SIP when things are going other way..the reason seems to be we check our account regularly and see what is happening to the investment, and the stopping SIP is just a CLICK away.. but if it is through ECS, some manual work is involved…. Yes , that is a good reason . However we can check things only with VIP also ? NO ? IT IS VERY USERFULL FOR THE PERSONS LIKE ME WHO WERE WORKING IN A INSURANCE COMPANY. THE PLANING WHICH U HAVE DONE FOR THE CHILD EDUCATION THE SAME STYLE CAN BE USED FOR SELLING ULIP. KINDLY HELP ME TO GET THE STEP BY STEP PLANNING FOR PENSION TOO WITH CALCULATOR AS YOU HAE GIVEN FOR CHILD PLAN. How can you use the same things for ULIP ? How do you think ULIP be better than MF + Term combination ? the term t -1 is a single term right? the way excel treates this is different. Thats what I am trying to point. as you have said its tenure in months minus 1, but the way its in excel sheet its deducting 1 from total value of the denominator and not from the tenure only. A = FV / [(1+r) * ((1+r)^t -1)] . This is what I used in the formula . check out the image I will upload on twitter. that will show the formula in best format. I have noticed error in one of the excel sheets. Please note the last parenthesis in formula, whole denominator is getting 1 substracted. Hope you correct the excel sheet. Looks like there is some confusion . I think the formula is correct . So in the denominator “- 1” part is for (1^t – 1) . where t = 12 * G5 because we want to make tenure monthly . So as per your fomula it will subtract 1 from G5 where G5 is number of years . Please recheck the formula is you are clear or not ? Let me know if you agree, or may be i need to relook . to Age 100. I Have completed three year, please advice should i continue or withdraw. Mostly we are against any things which has “Endowment” or “Whole life” in its name . What are the rules as per policy documents if you stop after 3 yrs ? What are the long term returns from this plan ? Ask for the IRR from your agent or company . Good Explanation. I have 3 Year Daughter and for her education I have started Bharti Axa Equity Growth Fund in Daily SIP of Rs.300. Let me know this is good or not. .-= Nilesh Panchal´s last blog ..Communication Skills for Children =-. What was the reason you invested in that ? Its a very new fund with no track record and its not from a good fund house , atleast not from a fund house with track record . Anyone pushed you buy that ? or was it your decision ? No body forced me to invest. Its my decision to invest in Daily. Why? I know its new fund. What are your views is my decision wrong? As a thumb rule of mutual funds investing , we say that historical performance is a great indicator of future performance . So investing in a totally new fund which does not have a track record does not seem to be a good idea . Apart from that it comes from Bharti AXA , which has no famous history in mutual funds performance and can not complete with other AMC houses . Note , it does not mean that fund is bad . It means you could have taken a better well knows funds . The risk is high here . How does this daily SIP thing would ? The agent had given working with both 6% & 10% per annum . i have not done a switch bcos of the volatile market which was there . after reading ur blog it seems the Sum assured for this policy is very less ( 3Lac) for 24k per year of premium which i’m paying . I have other MF like HDFC tax saver (growth + dividend), HDFC equity and HDFc top 200 . LIC for a secondary assurace . The ULIP you are talking is not worth investing in that case . The IRR of 6.84% is too less with 10% return . What is your age ? I think you should have more than 50 lacs+ worth of insurance requirement which you can get in less than 10k per year . Rest you can invest . Thx for the advise . also i’ve Aegon Religaire’s iTerm a good plan for 50lac for just 7k/mnt . doubt is where AR will be after 25 years. my age is 30 years , also the ROI of 6.84% is just a example given as it will vary as per the market , can’t i drive is with adding more percentage for equity fund for better return after 19 years . also i’ve have 6k/mnt is HDFC MFs(top 200,equity,tax saver) , 4k/mnt in LIC jeevan saral and money plus and this 2k in HDFC youngstar plus II . Pls advise as which is a good standalone child plan . AR is backed by Aegon which is strong in insurance field .Even if its not there, it will be taken over by something . So you dont have to worry that much . Solvency ratio is there for this problem only . ROI from ULIP may be different but still IRR is a unit to compare .. There is nothing like Best policy . You to find one for your self . I have HDFC youngstar plus II plan for my kid when he was 4 months old . its almost a year . i have the option 20 or 25 free switches which i can make online between growth,eguity or balanced fund which is a good option . Pls suggest for a good LIC plan for child’s education to balance my profile. Do you know what is the IRR of this policy ? Are you competent to do switches efficiently ? Do you know what is the proper asset allocation for youself ? Why you need a LIC plan only ? And what do you think about using standalone products like MF , ETF’s, GOLD to plan for child education ? It is a great blog. Are you a new reader or a quiet reader . What are the products you are comfortable with ? You invest in MF ? I heard from someone that it takes 15 to 25 Lakh for an MS degree in US and for MBA its even more. Not sure if these numbers are correct or not. If we assume it is correct , ambitious parents need to accumulate around 1 Cr to 1.5 Cr . 10% rise + 20 years to go. If you look around, Parents normally arrange these amounts by taking loan ( most percentage ), selling property/gold and some are lucky parents who are RICH / Big Posts who can easily afford. My question is , does anyone has a case study or real life experience of planning this long term goals and obstacles/Challenges faced during the the journey and also the list of mistakes made so that we can plan accordingly and learn from it ? For me it looks like , it is very easy to say , we need to invest X amount of money every month for 20+ years in order to achieve this goal. But Life offer so many unexpected events which alters our plans from years to year. along with this long term plan, i think we need to invest in our own Career Development so that by the time we are X+20 years, we can reach good position in our career with the hope that Salary/Savings can easily fund these necessities. Regarding your question about MS or PHD , there is one thing you have to consider , the education inflation in US is not like India . Its around 4-5% in US. so the actual amount needed will not be 1 crore . It will be lesser . The fact that till now parents have given education to their kids by selling property/GOLD and taking loans because they never planned for it . but we dont want to make our situation like that . Regarding one time investment of 10 lacs and letting it grow . I would suggest that you invest this in Debt fund and then invest in equity through STP . that way you would not get shock if markets tumble very fast . Also in our calculations we have not considered increase in income . so you have to factor that in also when you calculate it . I have my MS in the USA…I didnt spend a dime..It is not Rich/poor dad abt sending children to the USA..It is the will to succeed…The University offers jobs on campus and scholarships as long as the students have good academic merit. My grandfather was a very very rich man but my father lost most of the wealth due to bad wealth management..I am trying to win it all back…It is not important just to save money for the children, I think it might be advisable if you can make them work for it and have them understand the value of the money right from childhood. “Plan for the future but don’t sink in it…” This is another problem I can see in todays world . People sometimes invest to much of their income that they dont live their present life . This is dangerous . Invest in India and take the education in foreign universities where inflation is low US,UK 😉 Ultimately our goal is to provide best possible education. If i take Harvard business school(forget abt the seat) ,with 3% inflation will end up with 77 Lakh rupees at @50 INR,ignore the INR appreciation. That is great point . if your target is foreign universities then you can think about this , but what is the guarantee that your kid will make to foreign education . Another of your excellent post..Though the formula looks scary, but it is really nice to know about it. Sometimes one tends to forget about the inflation thing altogether but this post showed how much a difference it can make. Thanks for such informative and encouraging writing!! What are your views on inflation in long run say 30 yrs ? What are the best products you understand and are comfortable with ? Hii manish, nice thought to come up with a few calculators 🙂 Regarding inflation, yes, in 30 years time it makes a lot of difference..It is one most important thing to keep in mind while doing any kind of financial planning. I have basically read a lot about a number of financial products ranging from equities, to mutual funds, to gold, real estate, ETF’s etc. I got interested into finance a year back and then started my self study on it. Aim to become finacially literate enough to become my own financial planner..And ofcourse your blog plays an important role in this endeavour. Thats the mission for this blog . to make people aware of what they can do themselves . I am glad I have knowledgable readers like you on this blog . What other blog/sites you get your education from ? Any books ? Do you also trade/invest in stocks ? What are your views on Markets in next 5 yrs ? Thanks Manish..Its just the beginning I guess, long road to go. Have read the intelligent investor, cash the crash, dhandho investor etc..What are the other books that you suggest? Regarding 5 year approach, definitely I consider India as a fast growing market on the path of achieving even greater heights..It has the demographic advantage, people purchasing power, the industries, the zeal of the people and great entrepreneurs, also its not too dependent on exports, the fiscal deficit is under control..so I believe 5 years down the line India can go in only one direction – Up. I am new to the space and keen on learning things!! Nice to connect with you here. I have not read all the books , just read a bit of Intelligent investor . I am sure india will go up for the reasons you mentioned . I was very poor in these future planning, every time I read your articles get to know something new and add in my list. EPF + Medical Insurance + PPF + Term Insurance + Planning for Child Education + Child Marriage + Retirement Plans + Gold ETF, Equity MF… am I missing something from my list, to secure my present as well as my future? Well, it should it be Child’s Marriage and not ‘Child Marriage’ 😉 hehe..
Good article. I was also planning for my son’s education, and did research on all the investments options available. I thought MF and Term plan combination works well because ULIP child plans were very expensive last year (as high as 60% PAC for the first year). But main problem I found with MF and Term Plan combination is that SA is given to nominee after immediately after the death of life insured. But while planning for child’s education, money is NOT required as immediately but is required only after certain number of years (because fund may be misused for some other purpose). I checked for a term plan that does NOT settle SA immediately but after the predetermined time, but there are no such plans in the market. Here child plans are better as the fund value is given only after the maturity of the policy. But disadvantage is that when the claim is made insurance company just invests future premiums to the funds as allocated by the owner of the policy when he/she was maintaining portfolio and it will not give right to switch funds by the nominee if he/she is minor and in the child plans usually nominees are minors. Let us taken an example of person who takes a child plan for 20 years and after paying premium for 10 years he dies and assume that he has all his funds in Equity. As per the policy insurance co pays SA to nominee starts investing future premiums in Equity. But during the 19th year if the market crashes, there will be major hit for fund value that child gets!! Do you know of any solution for above concerns? So as of now I am continuing with term plan and MF combination. Probably I may buy ULIP if all the above stated conditions are met because ULIPs are much flexible (as far as fund management is concerned because of the tool ‘switch’) when compare to MFs. If there are issues with Term + MF , let us find solutions for that and see how we can solve it. just take Term + MF will not solve all the problems . The main thing what we need is that Child education is secrured . this is the primary concern . So what will happen is that when you take Term + MF . there are two cases . Case 1 : You never die : in this case at the end of the tenure you will have the required amount . Case 2 : You die in between : In this case you cant contribute the future invesments , but your dependents wil get a big lumpsum amount (this will be quite big and has to be such that it can take care of all the needs) . Now from this insurance amount there has to be some part which can be invested lumpsum into somthing which can increase in value overtime and provide the final corpus when needed . I think the useful part is the quantitative bit which most of us hate to do..I looked at a figure of 7 L today as that is good for a decent and relevant education for my kid. Of course even with that figure the FV looks bit scary. My kid is 6 now and I have already started investing 18K pa (which is of course much lesser) in MF in his name. Will scale it up soon..
Any idea if I can open a PPF account in my kids’ name.. I have just managed to convert my LICs to paid up mode and am switching to term insurance. So will free up something there. Yes , you should bump up the investment , calculate the requirement and then start investing monthly . Good that you have made your LIC paid up . Its a good decision . Which policy you had ? What mutual funds do you think are good one ? Thanks for the info on PPF. It took me a while to get LICs converted but finally done. I have three policies – Money back, Jeevan Shree, and Jeevan Suraksha..Am continuing with Money back as it almost run thru. I have always believed in Diversified funds. I have mix of large cap, mid cap, marginally sectorial funds. Have been investing in HDFC Top 200,DSPBR Equity, Reliance Growth, DSPBR TIGER, and one balance fund in HDFC Prudence. For my kid I have chosen Birla Frontline Equity. Have Reliance Banking as miniscule component which was started to capitalise on Banking sector crash during 2008-2009. One thought for people who have been considering education in US. There is a lot happening in educator sector in India and Govt’s heart is in the right place though pace is slow. Lots of good US universities are looking at India as next destination. Incidentally Harvard Yale and one more US University is looking at setting up innovation centres across country. All your funds are great . Do you think your LIC policies will be good enough for your retirement life ? Nope my insurance is definitely not enough..I am addressing the same currently by going for term insurance..(now that i made my endowment plans paid up). I didnt scale this up till date as my wife is also working and well covered. and we dont have any liabilities currently in terms of loans or credit. Regarding the education in US..I dont know how many people are considering the impact of forex. It might play a big role in undervaluing or overvaluing the planned figure. In that case you should look for good term plans . Nice point from your side . .Kudos .. I am a regular reader of your articles and suggestions given to individual queries. I was really impressed by the way you had shown the inflation calculations and the excel spreadsheet was really useful to anaylze the requirement for the education of children. As per your suggestion in the earlier articles, i am in the process of shortlisting around 3 -5 equity mutual funds for my child, so would it be wise to have 3 – 5 mutual funds. It would also be great if you could suggest some equity Mutual Funds in the Equity Balanced, MIP, Sector Funds. What are the best education courses we can give to our children ,. What did you think about your child ? What are the products you will choose and what are the concerns ? Very good article as always, cleared lot of doubts. How did this article help you . What part did you learn here ? What products do u think will be good for you ? One past point reg graduate study. Being an educator I meet poor students who want to study more. I always encourage them to go for a PhD. This they will earn a handsome stipend pay their fees and send money home! In fact if you have bright kid and can afford study in the US encourage your kid towards a PhD instead of MS (if you think your kid can handle it). This way you don’t have to pledge your house and many people do these days for MS programs without scholarships in the US. This is complete Madness! Nice point . I have 2 of my friends who are doing PHD in US and making some money also 🙂 . But dont you think most of the poor students dont have the motivation for this . I mean they dont feel confident that they can also do this . I am totally with you on this one . Another important issue wrt to child planning is cost of undergraduate and graduate education. Since graduate education costs are incurred 4 years after the start of undergraduate costs, if you you plan well those 4 years can be used for compounding. Having a diversified portfolio helps in this regard. We have take part of the corpus for undergrad education and let it grow for grad education. If the child wants to go to a job after undergrad well the extra money could become your old are health fund or boost your retirement corpus! “The key to happiness is low expectations”. and anything in between a weighted average. Another possibility is reverse the calculator and accommodate variable monthly contributions. That is calculating corpus for 5000 p.m in 1st year, 5500 p.m. in 2nd year and so on. This will also help people like me because I cant afford 11000 p.m. right now but only a couple of years later. So revising the calculator will help me determine modified corpus. I am trying to modify your calculator in this way. Why do you take 8% return when you have 50-60% allocation in equity ? What is your return expectations from Equity ? Your idea of putting variable contribution is great 🙂 . I thought about it but didnt do it . Good idea to upload the calculator. As for me taking returns as 8%, I have invested in ELSS funds but I usually underestimate a lot. So that I am not disappointed in case my expectations are not met. Which is why I began my retirement and child planning very early to make up for the low return calculation! Hehe .. You have hit the nail !! . Expecting low and trying to keep your investments early is the best thing . Good one . But at some point of time dont you think if you underestimate or being conservative is forcing you to invest more than what you actually should ? Nice article Manish. In my case, today’s value is 8 lakhs and after 24 years future value will be 80 lakhs. I already started SIP of 5k with this goal in mind. I feel Equity MF, ETF, PPF and term insurance are enough. No to ULIP. just 5 years before the goal, I am planning to initiate Systematic Transfer plan to more safe debt fund or I will withdraw and keep depositing in the PPF account (opened in my name, child name, wife’s name) which matches with the target date. 1. I am thinking of atleast 20% returns from Equity diversified MF (based on Valueresearch 10 year old equity diversified funds) Is it fair enough? 3. Tax exemptions for Equity MFs are allowed from past three years, but I see equity tax planning funds which are 15 years old? Why did they start Equity MFs with “Tax” name in it when it was not used for Tax exemption 10 years before? Equity MF, ETF, PPF are good option , U should also consider Real estate , Gold etc also to diversify . 1. 20% return is little more than we should expect . Dont remember than in last 10 yrs we also had 2003-2007 , which were the mind boggling years in equity . So if you see overall 28 yrs , equity returns are in range of 16-18% , Better be little conservative . 2. Equity tax planning MFs are same as equity diversified funds . Just that you get tax benefit from them and the fund manager can use it wisely because he can take risk of locking the money in some good share . 3. I dont think so , ELSS were there earliar but the exemption limit was small (10k) . Where did you read that it started from last 3 yr only ? 1. What is your age and risk appetite ? Are you a risk taker ? If yes then you can try some direct equity . 2, Can you diversify in real estate ? thought ? real estate to me (other average income ppl) means owning a house, but in current situation buying a house in bangalore, i will end up paying huge EMIs for more than 20 years. please explain what do you mean diversify in real estate? yes. 20% may be too much. on a conservative side we can expect 15% in equity diversified MF. From the website, i read ELSS was added in 80C from 2005, http://www.hindu.com/2005/12/05/stories/2005120501181700.htm. This is just a general question why ELSS existed long time ago..please share tax rebate of such year where ELSS of 10k rebate was allowed. My age is 27 and risk appetite is above average. Yes I started direct equity as a resolution 2010. I am studying market report and investing in good stocks for long term. Hey Guys, you are right about the inclusion under Sec 80C but earlier ELSS was present under Sec 88 which offered a 20 per cent tax rebate for investments up to Rs 10,000 with a three year lock-in period. Ohh .. so that 20% was a flat rebate ? tell more ? by diversifying in real estate its very tough right now . But in coming years (1-2 yrs) , we might have REIT and REMF products in india , through which you can still participate in real estate growth with little money . .-= Nikhil Shah´s last undefined ..If you register your site for free at =-. Manish, another excellent article from you. Why you say Ulip is not good. I have taken ulip for elder kid’s (4 yrs old) education. It is ICICI Lifetime Super. My investment horizon is 15 yrs. I guess if ur investment horizon is 15 yrs and you are aware of the charges, then ulips are suitable. Also another thing what i dont understand when you say for long term equity is better. so incase i choose MF or equity, and invest around 10,000 per months (for example) and what if the the MF facevalue starts coming down after 10 or 12 yrs. I never understand this thing… so do u mean to say that after 10 yrs while re-assessing ur investment if you find out that mf value it coming down or has comedown to 50%, then u shift ur entire money to a new MF ? Thanks manish for your clarifications. Regarding “ULIP is not good for long term” , This is not true , what i meant was that its not a suitable product for most of the people . You must be understanding that ULIP is nothing but “MF + switching facility” . So if you are using that switching facility from safe to risky funds and risky to safe funds and have knowledge how to do that . In that case ULIP’s can be excellent products . but incase you have just bought them and just sitting idle , then you have not done correct thing . In that case you should do plain mutual funds . Another thing is NAV of Mutual funds in long run, so generally in long run NAV should increase with fluctuation in short term , If you see SENSEX or NIFTY over long run , you can see it as a Mutual funds NAV , so it was small number earliar first , then it increases over long term , but there will be decrease in short term . the important question you have to ask is what is your return needs and expectations ? Only then you can find out the risk mix of products for yourself . There is no point in chasing 25% when you can achieve your goals in 12% . Once you do everything to acheive your 12% , then you can try extra for that 25% . I would say that if you are putting money in Equity , invest through SIP only . Regarding Real estate , better think of place where you are going to live for long term . Regarding GOLD. I am not very much excited in short term . No idea of long term view . IT takes around 2500 per month for primary education these days… fees is very high. for higher education like medical, pilot etc it is 10-15 lac. So need to calculate accordingly. This is good article on CHild Education Planning. Ya , these days primary education is a big concern . But in this article we are concerned about the future higher education costs as its a long term once time cost . School fees is a regular cost and we need to have a different planning for that . Very good article, As a new dad of twins, I am looking for options to save for the future of my little ones. I have started few SIPs so that there is enough money. But now I know exactly what it takes to have a bright future for them. Thanks. .-= Chandoo´s last blog ..Excel Links – What are your plans for 2010 Edition =-. I have been investing thru SIP route since I got my job in 2006. I have been using valueresearch rating (4 or 5 stars) and investing in equity diversified funds all along. I follow the good advice from people like you and have taken enough insurance cover last year. Let me know if you have some ideas .. I would love to hear. All are good funds . As per your age these are suitable funds . Not sure about your risk appetite 🙂 . Just make sure you also use other tools like ETF’s , Gold ETF’s , debt funds , PPF etc . Do you have plans for it ? excellent man, it is really an eye opener… i liked your calculation…. we can certainly revise inflation and expected returns to suit owns need…..
Like you said, over time we will have to see if inflation and expected return changes .Do you think 6-7% inflation is not a good measure ? What are your favorite products you want to use ? You have using the funda of using “tax products” for long term goals . Why dont u use some part in ETF’s ? You dont like golf ETF’s ? 75:15:10 in ELSS , GOLD and PPF can also be a good option . What do you say ? I think at this moment gold is expensive in comparison to equities. I may churn portfolio in next cycle. my funda is to buy cheap products that has some intrinsic value..
You are a value investor . Thats good . Do you study GOLD ? What are the factors when you say that Gold is expensive today ? yes i do have a little interest in market but not as a trader but as a investor(long term 3-5yrs horizon, MF and direct equities)…. you have interest , but what about knowledge and expertise ? are your beating MF returns ? If not then it will make sense to take MF route . Regarding gold , its a complex thing ,Dont look for it as primary investment option . not more than 10% . In the last 5-6 yrs it has given spectacular returns which might not happen in future . What do you think ? Do you invest in Gold ETF ? That’s a very good point to benchmark equities returns with mf, I haven’t done so far yet but I think it will be same. Better you see if you are able to beat MF or not ? Otherwise what is the point of hard work ? 1. Did you put money in Gold bar/coin or jewellery ? 2. By how much are you beating the MF ? Why not use ETF’s ? .-= Amandeep Singh´s last blog ..How are the Interest- free days calculated for my credit card? =-. Amandeep . Its better that you read this early . The amount of money you have to invest right now will be 50% of what it will be after 6-7 yrs . So better start early . Are you are into Direct investing yourself . Do you think its a good idea of using direct stocks for this ? child ulips are only marketing material only. kindly remember that any child(minor) canot enter into any contract like life insurance. life cover is for parents only, who can pay the premiums. donot fall in ulip trap. I agree with your points that one should use Mutual funds , gold etc for planning child education . however ULIP’s are not that bad as you have mentioned . Just that they are unsuitable for most of the people . Why do you say that “kindly remember that any child(minor) canot enter into any contract like life insurance” . kindly recall no minor (child) can enter into any legal contract like life insurance because as par indian contract act only a major s sign. is valid. p.s ULIP are complex and needs some smart work before closing any deal. life insurance agent/ advisors un biased views are required which in my personal view is some what difficult. agents like MYSELF changed companies whenever my boss jumped or better incentives offered by other rivals. a pure term plan is always easy and low priced. Ok , But a minor can have the policy through a guardian , so indirectly they can enter, thats what I meant . Your concern is very thoughtful , it shows that you are really thinking it in detail 🙂 . Good job . If you read “Important Points to remember” dicussed at the end of article . You can see that I talked about “Asset allocation” and gave a link to article : https://www.jagoinvestor.com/2009/07/power-of-asset-allocation-and-portfolio.html . 1. You have to do your Portfolio rebalancing every year atleast so that once your equity exposure increase than what you are comfortable with , it automatically gets adjusted . Its very important . 2. You have to find out what is your risk appetite and then decide our equity allocation . When you goal comes near , then you start shifting from equity to debt . Which will happen anyways because over time your asset allocation will change (high debt and lower equity) and rebalancing every year will make sure you are on right track . Let me know if you understood things or not . If there are any doubts , feel free to let me know . No issues with answering more of doubts . Good luck . Also let me know what are your views on investing in ETF’s and real estate . Thanks , If you need the best ULIP , you should look at IRR of ULIP . More the IRR , better then ULIP returns . From IRR point , Aegon Religare ULIP has the highest IRR . Just 5% as allocation charges . Why do you feel ULIP is right product for you ? are you not comfortable with Term plan + MF , PPF + ETF option ? Do you have good understanding of Market movements so that you can utilize Switching facility ? Its too tough for me to look at individual plans . You should review it using the education i have provided on this blog . It would be better than you get the ULIP with least allocation charges . The IRR of 8.5% is great . go for it . Where did you find the IRR information from ? The religare IRR for Invest Max Plan of 8.5% was listed on Outlook Money. In my quest to find the cheapest and best value ULIP plan, I have been doing a lot of reading for the past 2 days now ever since you introduced me to the religare offering.When going through the religare news articles, in sep 2009, religare claimed they had the ULIP with the highest IRR and a cash award of Rs 1000 for anyone finding a better ULIP plan i.e one with a higher IRR. Now that offer does not exist anymore when I spoke to a rep. This made me think…Can any other plan beat the 8.5% IRR benchmark set by religare… The following is the result of my investigation. I have learnt quite a bit on the quirks of the charges. The service tax component seems to be draining quite a bit. I didnt see any website complain about that…Thanks Mr Chidambaram. The Reliance IRR is from their website via the benefit illustrator. Unlike many other plans, the IRR for the plan sticks to 8.51 irrespective of number of years. This I believe can be of great importance to investors. So fill up the form and go to the reliance office for savings of 3%. Also monthly maintenance is fixed at Rs 40 for ALL years. Fund charge not to cross 1.35%. Most of them are at 1.25% currently. Manish, it might be good if you can write an article on this fund and compare it to the religare plan. It might be of great benefit for the readers. Just a thought. The ability to switch between debt,cash and equity is of primordial importance. It will give great returns if timed very well especially while India is going through the transition from developing to developed economy. It will be volatile as hell. You could use the reliance plan for retirement, child education what not…The mortality rate for infants/children will be very low so almost negligible comparing the returns. The other benefit is less paperwork and keeping track of investments if everything can be accessed from one place. The best of all 8 super funds from one of the best mutual fund houses in the market today. 52 switches between funds a year online and premium redirection by writing to reliance (painful). Another tip is to redirect all the premium to a money market or “cash” like fund. Then switch as you please once a week. This will eliminate writing to reliance to change the premium redirects. Same with top-ups. 1. Apart from IRR , what is the fund performance ? How old is the ULIP ? If its just 1-2 yrs . Wait !! , We cant marry a girlfriend whom we know from 1 week !! . 2. I guess you have detailed review of the product . Why dont you draft it in a clean way with points . I will post it on your behalf as guest post ? 2 things that will help me in this endeavor…(a) I know you had put together a spreadsheet to calculate IRR, if you can e-mail that to me, I can manually work out the numbers and verify the findings of Outlook Money/Reliance Websites. It is good to be an investigative journalist, you know :)… The google spreadsheet version doesn’t work! (b) My e-mail is vickypatta@gmail.com Can you send me your e-mail, so that I can send you the draft once my investigation is complete..Since it is going to be my first post, I want to include all the details and strategies I can gather…i will get you the draft this weekend…Thanks! Quite excited abt the whole thing now!! I have mailed you . Thanks for your interest . true, thanks for this service. the company in the news is a recent entry to the market. their fund performance is yet to be proved above bench mark index.so wait before signing a new one. .-= Mohan´s last blog ..Indiblogger Meet @ Bangalore =-. Why its too early ? Even if you are not married or planning for kid , you always have a rough idea when things are going to happen . The earliar you start . it would be good 🙂 . So Mohan , do you think Unit Linked plans should be used here ? If yes , why ? Do you think 7% is good assumption for inflation and 10% for education cost ? What do you feel ? .-= Jagbir´s last blog ..Setting up mutiple MySQL Database servers on a single linux machine =-. Thats what financial planning means ,. Its all about “prepardness” . However small you save will help , we have to be ready for all the goals and Child education is so critical . What numbers are you taking for inflation and return expectations ? i am a believer in front line diversified equity stocks like L^T, bhel, ongc,hul,itc, powergrid, ntpc, RIL,sbi, icici bank, dr. reddy labs, lupin etc..
any how thanks manish for your good work. Great article to enlighten all of us.. I was knowing this but was calculating the future value by taking the rise in education costs as just 7% ( the normal inflation rate we assume) . I feel, i will now have to recalculate and see which products i should invest in. Nice . thats one common mistake done by everyone . We compund everything with common inflation . Its different for different things like Health Cost , Education costs etc . So a good inflation for education cost would be 10% . So Shantharam , what investment products are you using for Child education ? Would love to hear your understanding on how we should take care of investments for Children education ? Are you using pure equity products ? Your comments ..
With this education rise at 10%, i have arrived at a mind boggling figure for my child’s education 15 years from now. Intially, i had thought of a mix of equity and debt in the ratio 75:25. But now, i feel i should increase my equity ratio to 90% as the corpus required now is much higher . I feel now i should go for Tax Saving MFs and PPF in the ratio 90:10. Generally speaking, we can go for even 100% on equity MFs as normally the requirement for child education is made atleast 15 years in advance. What is your age ? What is the current figure for education you have taken, I would say take realistic figures . Some times you might end up taking some extra amount for “Worst case” . I understand that that is a good thing, but not always . If it takes 5 lacs for higher education today , then take 5 lacs only , not 10 lacs . that 5 lacs extra might look small right now . But then the same future value will be double 🙂 which is not a good thing . So just make sure you have taken the right numbers . What is the saving you need to do per month as percentage of your salary ? is it more than 15% ? I took the most expensive education as of my knowledge in india which is ISB. I have information that is is 20 L-25L for full course (2 years). If i see this figure and i want best possible education for my kid, then i have to calculate based on that figure. I/he can go for education loan that point of time but lets target for this figure and let see if we can acheive. As a parent , you will plan for him as per the market best course . I say “best course” , because “best education” is not “best course” . A person’s best Education is what make him feel like doing it . So I would say you can think about ISB . However I would say that you do with an average fees like 4-5 lacs, otherwise it can put lot of pressure . Fully agree with you, Best course is not always best education. Ideally one should always look and try for best education. Why do you want your child to go for MBA ? I am asking this because you had MBA in mind ? Are you an MBA yourself ? If yes , I am amazed how can your be cruel 🙂 hehe . i can understand why you dont want him to go to software . You are taking an extreme example. ISB is costly because the high salary after the course makes up for it. People take study loans to complete ISB course. Hardly anyone would do it with parent’s capital. You can take your own figures, the focus is on procedure ! Financial goals are important but it must be always REALISTIC No one knows which sector will be booming in future,so having enough money can keep you prepared for any task. I personally believe only child can understand his/her capabilities.it may not be wise to think the education costs will go up in future also. TECH. changes may lower costs like present electronic items. in the long run equity and real estate will give good returns. p.s never forget to invest on your self.proffessional development in your own carrier or business gives you happiness and preparedness for any event.